There are few things that define the sustainable better than a stocked pantry! Here’s “How to Stock Your Pantry for $5 a Week”! 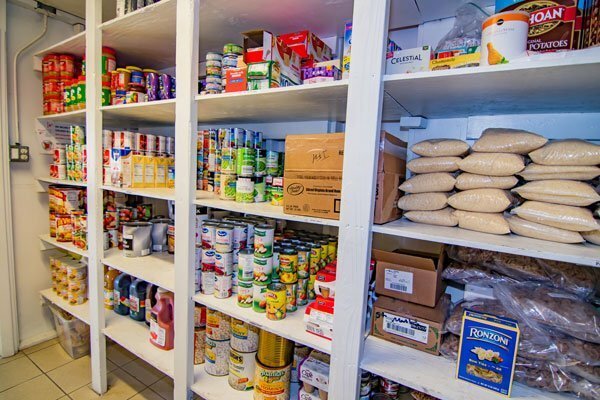 It’s just a fact, stocking and maintaining a working pantry is one of the best investments you can make. 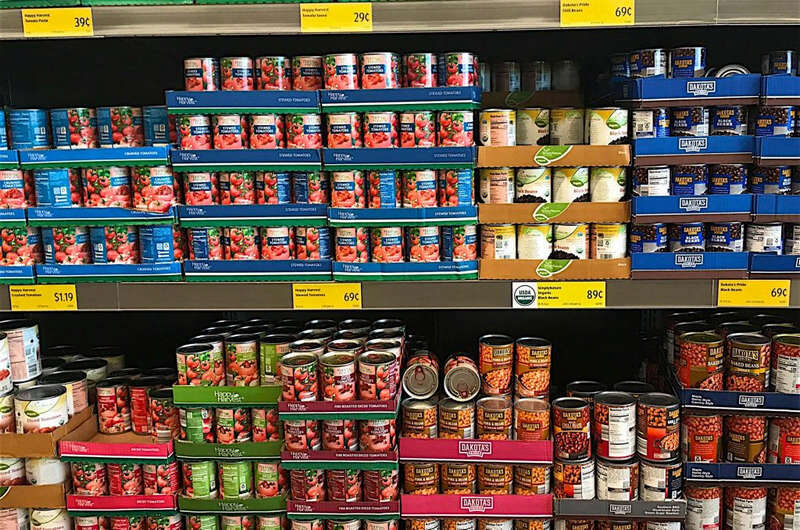 While some will stock their pantry through home canning/preservation, others will stock through purchases from the grocery store, which will be the focus of this post. Save you a lot of money, both from spending less at the grocery and from eating out. Give you freedom from the daily/weekly grind of stopping at the store every time you run out of something. Give you food security when a storm hits or there is a temporary job loss. Allow you to give to someone in need right on the spot! Help your adult children out when you see a great sale! So, I can already hear it….it’s the same excuse that people use every single time. Yes, you do. You do! I promise. I’m going to show you how to get started stocking your pantry from the store for just $5 per week. You have an extra $5 per week….. Saving your change at the end of the day, everyday, for a week. Cutting back on a couple lattes out during the week. Buying a few less energy drinks during the week. Cutting back one entire pack of cigarettes this week. Carpooling and using a couple of gallons less gas. Give up a meal out will easily save $5. Don’t buy premium gas for your car, get the mid-grade. Give up soda for a week. Give up sugar and candy for a week. Clip $5 worth of coupons and use them at the store for things you already use. 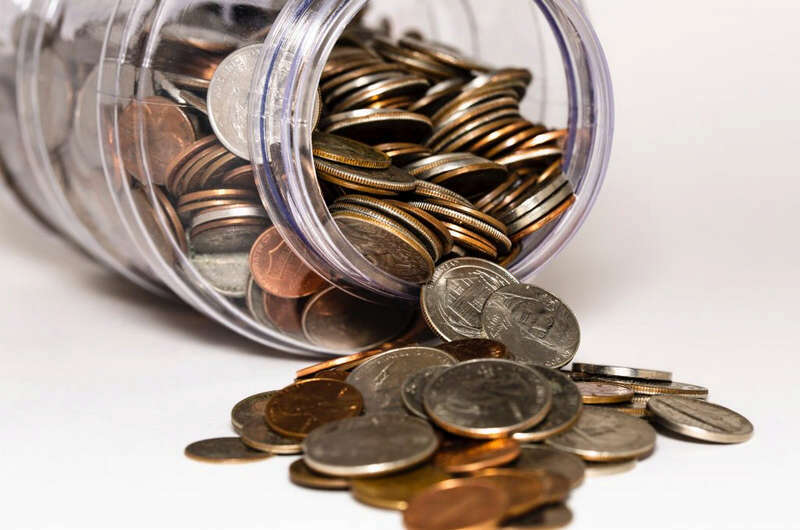 Clean out all your living room furniture and inside your car looking for loose change. Sell something on Facebook or Craigslist. Get rid of the land line. Make something you can sell at the office or at school. I think you see what I’m trying to say. It’s easy to come up with $5 extra per week, every week. Everyone has fat in their budget. As a matter of fact, chances are good that you can come up with $10 per week, or even $20. You’ll accomplish your goals faster this way, but the point of this post is to remove all excuses and get you started. What holds people back from getting a solid pantry going is not having a plan. That’s what I hope to give you today. Saving $5 a week to put entirely towards the stocking of your pantry can be done many different ways, feel free to make this plan your own…make it work for YOU. Now, let’s get down to the business of stocking that pantry. First, we’ll need to examine your cabinets. We are going to begin with a “Top 10 Items Used” list. Don’t worry, we’ll expand this later, but for now, let’s start with the top 10. My list looks like this…. Yours will look different, but it’s super easy to come up with your Top 10 list, just go to your cabinets right now, take a pen and paper with you. Open the cabinets and write down what you reach for the most. It shouldn’t take long, don’t overthink this. Now, the next step will take little longer, but will be well worth it. We need to find the current prices of these items, preferably where the prices are competitive. Aldi is my go-to place for pantry items (for what I didn’t can). Aldi is a no-frills grocery store with very low prices, if you don’t have an Aldi, you may have a Save-a-Lot or something similar. Find your store and price your “Top 10” as soon as you can. Then your list should look something like this…. Now, each week you will use your $5 and purchase what you can of these items. Any combination is acceptable, whether you choose 5 jars of marinara, or one jar of coconut oil with one can of green beans. Whatever, just make sure you buy from your list. They will not be used with your regular groceries, but rather set aside as “extra” in your pantry. I use the word “pantry” loosely here. Your pantry might be some shelves under the stairway, or it might be in a box that slides under your bed. It doesn’t matter. What does matter is that your take the time and attention required to buy your $5 of “pantry only” purchases. The next step is to decide how many of these 10 items you will use within a month’s time. How many containers of coffee do you use in one month? How about peanut butter? This will help us to determine how much extra money you’ll need to purchase one month’s worth of these staples! How cool is that??!! Ok, here’s mine. Notice how I multiply the needed monthly quantity by the price. This tell me what it will cost for one month’s worth of this item. $72.52 divided by $5.oo per week = 14.5 weeks to have one month’s worth of these staples! How cool is that??? We’re talking in 3 1/2 months, you could have a good foundation for your awesome working pantry! Woot woot! Start a second list of the next ten items you use most often and do the same thing. Or, you can continue purchasing more of your Top 10 list each week. Make sure you’re getting the best possible price on these Top 10 items. If there’s a loss leader sale at another store one week, get your items there. Quite possibly, you could trim more from your spending and purchase even more without sacrificing your regular needs. This is how financial goals are met, regardless of what income level you find yourself. Little by little, your pantry will grow…and so will your sustainability! Thank you for this slightly different take on stocking your food pantry. I have built up a pretty fair one, but could always use a few new good ideas! Thanks for the information. I usually buy a little here or there depending on the sales, but this is much more organized and I think it will add up quicker. Thanks. Hey there, Debi! I hope it helps you to get your pantry filled up! Thanks for reading and commenting!